Do you know the real burning time of your flash units ? Full Burning Time t0.0 vs. 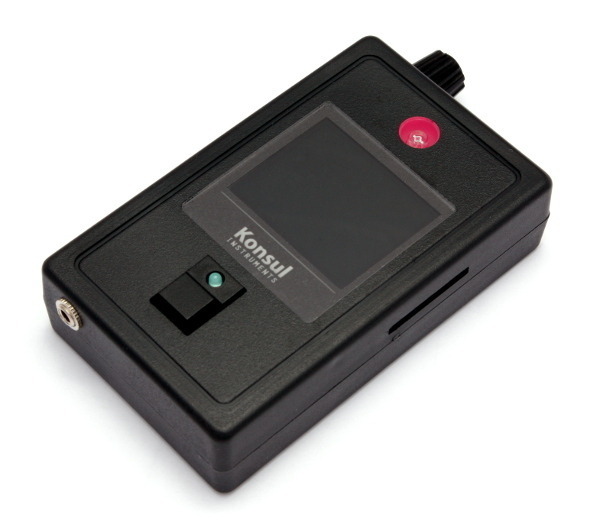 The FDM-1T is a small and easy-to-use metering device to determine the burning time (flash duration) of photographic flash units – precisely and fast, at a single push of a button. The values t0.1 and t0.5 (a.k.a. t.1 and t.5) which are commonly used as characteristic measures for burning time / flash duration, as well as the progression of brightness over time will be directly displayed as measurement results. Alternatively, the FDM-1T also supports non-standard values such as t0.0 (representing the full burning time) and t0.2 until t0.9 as further options. For better illustration, the selected measures may be plotted in different color shades, as well as in form of dimensionings atop of the brightness curve. The flash duration meter’s working range for t0.1 is specified from 1/5 down to 1/120 000 of a second. The sensitivity of the light sensor may be adjusted to the given lighting conditions within a range of about 8 f-stops. As a further means, besides the classic brightness-based measurement, the FDM-1T supports luminous exposure as an alternative measurement basis. This makes it easy to perform a precise flash duration analysis of even the latest generation HSS-capable flash units. Besides its simple and intuitive single-button control, the FDM-1T features a multilingual configuration menu with numerous configuration options and useful additional functions. Among the most important there is a flexible flash detection (e.g. for masking out any kind of pre-flashes) and a simple flash counter. Moreover, the luminous exposure (in lux-seconds) induced by the measured flash may be displayed as an additional result value. The FDM-1T comes equipped with a built-in SD memory card reader which may be either used for applying firmware updates as well as for measurement result data export in form of screenshots and/or raw data readings. Furthermore, flash units connected to the meter may be fired automatically by an integrated electronic triggering unit. Of all metering devices currently available on the market, the FDM-1T is the only one of its kind that was right from the start specifically designed for flash duration measurement, perfectly complementing your existing equipment. You’ve got any questions? Do not hesitate to contact us. It might also be interesting having a look at our customer’s feedback.